CONSTRUCTION of the $232 million Coorparoo Square urban renewal project will start in September following completion of demolition of the site’s old Myer building. Builder Probuild has undertaken a three-month demolition schedule, clearing the site and paving the way for construction to commence on the first stage of Coorparoo Square, which is being developed in a joint venture between developers Honeycombes Property Group and Australand. Honeycombes Property Group managing director Peter Honeycombe said stage one of Coorparoo Square was on track for completion in the first quarter of 2017. “This is an exciting milestone for the project and indeed the wider Coorparoo area,” he said. “While the community holds many fond memories of the iconic Myer building, the site has since been disregarded and was an eyesore for many years. “We are pleased to have received an overwhelmingly positive response from the community and we are excited to be delivering a unique lifestyle precinct to Coorparoo. Construction of the project’s first stage comes as sales reach close to $120 million, equating to more than 90 per cent of apartments in stage one. Australand Queensland general manager residential, Cameron Leggatt said the high volume of sales and interest from locals ahead of construction was pleasing. “We expect construction will have a positive effect on enquiry as people start to see the project come together,” he said. 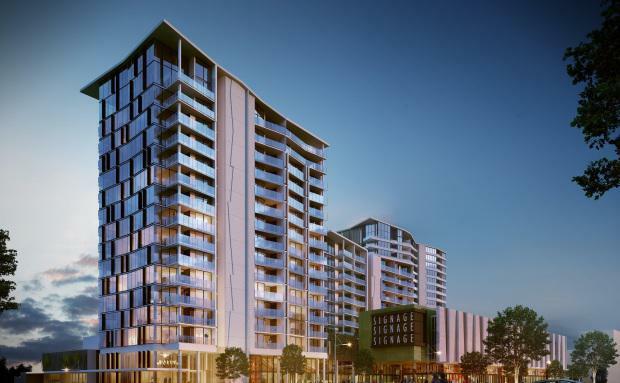 Situated just 4.5 kilometres from the CBD, the project will feature more than 360 apartments and 6,000 square metres retail precinct and a 10-theatre Dendy Cinemas complex. In addition to its residential and retail elements, Coorparoo Square will include two large swimming pools, a tennis court, large recreation areas and green space. With stage one to be completed in the first quarter of 2017, stage two is scheduled for completion later that year. Coorparoo Square’s residential offering will include a mix of one, two and three-bedroom apartments as well as a limited number of luxury penthouses.